Anyone who has followed this blog for twelve months seconds knows I am a huge Beatles fan. I’ve been a fan since I was, as my mom would say, knee-high to a grasshopper. My ever-so-thoughtful husband surprised me with two tickets to see Sunday night’s Paul McCartney concert with our daughter Jill. The way that sentence reads, it sounds like our daughter was in concert with Sir Paul. What I mean to say is I went to the concert with our daughter. Damn semantics. Who needs tickets to the concert with a view like this? While enjoying a pre-concert beverage, Jill and I noticed a crowd gathered behind barricades lining the driveway leading to the backstage area. Whaddya know? A few minutes later the crowd erupted in cheers as a motorcade of black Escalades rounded the corner. Paul and his mates (how British of me) had arrived at the stadium for the sound check. My daughter and I screamed (yes, screamed) when Paul rolled down the passenger window and popped his arm out to wave to his fans. I would know that arm anywhere. Adoring fans? Creepy Paul stalkers? Your call. Jill and I proceeded to a rooftop bar near the stadium for additional pre-concert beverages (hmmm, I sense a theme here) where we could listen to the hour-long sound check. Unlike many other rock stars, Paul does his own. 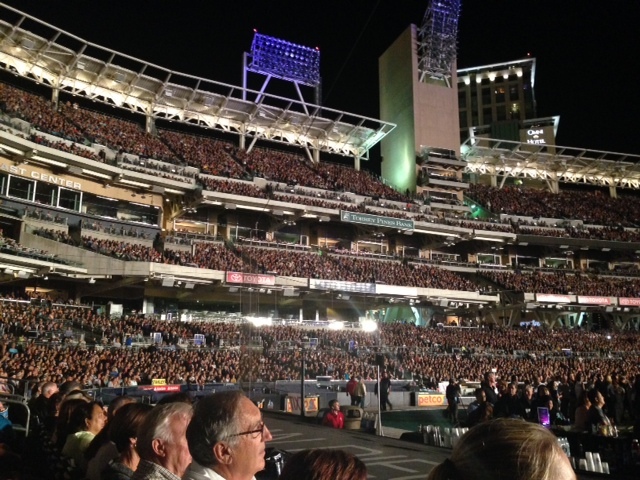 The stadium was packed, and I mean packed, with 42,000 Beatles lovers. The youngest fan I saw was five-years-old or so, and the oldest fan was using a cane. Talk about a broad fan-base. Do you suppose Paul still has any fans? Sir Paul looks and sounds amazing. He and his talented band played (and I mean really rocked) for three solid hours. I can’t do anything that uses that much energy for three minutes, let alone three hours. Paulie-boy won’t be offended here if I remind you that he is 72-years-old. You would never know it. He is trim and fit, stylish as ever, winsome smile and wit are ever-present, and his voice is true and strong. The concert was an excellent mix of Beatles and Wings material, as well as a few songs from his new album. But the sweetest part of the evening was then he sang, “Yesterday” directly to my daughter and me. I’m not sure how he found us in the crowd, what with his aging eyesight and all. At close to midnight, we exited the stadium for the one-minute walk to our hotel. Even at that late hour, we were too amped by the energy of the concert and there was no way, Jose, we could just go to bed. We joined dozens of our fellow concertgoers in the hotel bar for post-concert beverages. The energy in the bar was just as electric as it was in the stadium. I said earlier that the sweetest part of the evening was when Paul sang “Yesterday.” That statement is utterly incorrect. The sweetest part was spending the evening with our daughter Jill and that my husband made it happen. Thanks, honey. On my flight home yesterday, a woman about my age sat next to me. Without a “Good morning,” “Is this seat taken?,” “Move your damn purse,” or whatever, she blurted out . . . “I was at the Paul McCartney concert last night.” Guess what we talked about the entire flight home . . . Russel!!!! Hello!!!! Hope you are well too in beautiful San Diego. Thanks for this wonferful post, and sense of humor. I teach at a university in the Middle East. None of my students know who the Beatles are!!! Gosh, I wonder how you stumbled upon this old post of mine. Any idea? I don’t know how anyone can NOT know who the Beatles are. Perhaps the Beatles never did a Middle East invasion. Thanks for stopping by! I’m pretty new to blogging. I was just perusing stuff in my reader, saw something on your site, went there. It was that story, I didn’t even read the date, I don’t think. Was that a “freshly pressed” story? And yeah, maybe someone doesn’t know Neal Armstrong, but…The Beatles? Really? Welcome to the wonderful world of blogging! I hope to get back to it soon. I have been sidetracked by life and finishing my manuscript. I am happy to report the manuscript is finished an undergoing a final proofread from an eagle-eyed editor. Whoa…well, good luck with that. A book has been my goal for quite some time. Lack of discipline sitting and doing it is the problem. Maybe this blogging thing can help with that. Good luck to you too! 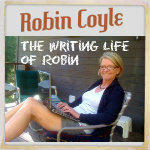 Blogging made me a better writer and I loved the discipline of a blog writing routine. Now if I can just get back to it! Thanks much. I can see my being more disciplined about writing already, and being excited about it, and well, the instant moral support is wonderful. Let me know when your book comes out. I will. Believe me . . . it will be all over my blog! I’ve been working on it for so long and have had the moral supports (as you mentioned) from the readers here. I’m happy for you. But…a little (OK, a lot) jealous. Thanks, Russel! Same to you! Ohhhh! I haven’t seen you in ages for some reason and am so glad I popped in (perhaps a month or so late, but I’m here!). I smiled through this entire post. Yes, yes! (um, I mean, Yeah, Yeah Yeah!). I saw Sir Paul twice in Boston a few years back – once in the big “Garden” indoor stadium, and once at Fenway (the famous outdoor baseball stadium). Each time, despite the huge crowds, we all left on a ‘high’ – a natural high. Something about the way…he sings and jumps around and has a high energy of happiness. Nothing better. 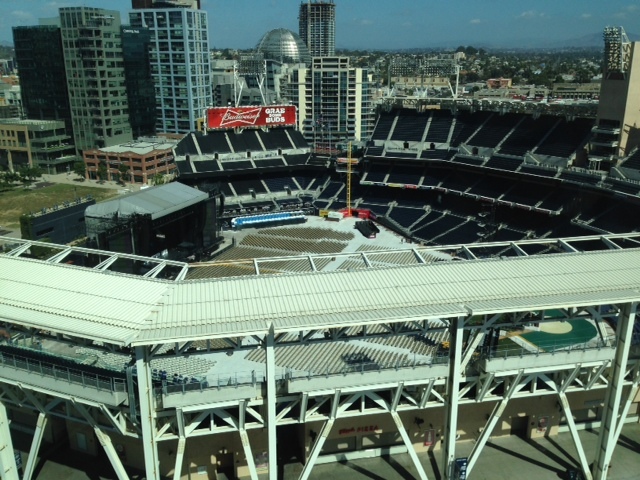 I had no idea McCartney came here to San Diego. You can see I don’t keep up much with the news. Didn’t he come to your neck of the woods up north? Were you here during one of the nasty heatwaves? We’ve had so many of them in the past 2 months, I can’t stand them anymore. Yes, Paul played at Candlestick Park. I wanted to go but my husband was being a grump about it. Little did I know he was being a grump because he had purchased the tickets to the San Diego concert as a surprise! Yes, it was hot while I was there. My daughter has been complaining about the heat too. No air conditioning in her apartment and sweltering! Argh, you can’t survive without A/C in San Diego when it gets over 100 degrees! Hottest year on record so far in California and it’s only going to get worse. 😦 Glad to hear you could see McCartney and visit your daughter. Hi Jill Myself and my Best Friend Kimberly where standing across the street from the gates at petco when Sir Paul came down the street in his motorcade and he faced us and waved it was the coolest thing ever We were both so shocked I was wearing a Beatles T Shirt and a Black Beatles Hat and my Friend was wearing a yellow submarine T Shirt and a black hat with bling blings on it Possibly you may have seen us??? It was such a great concert a once in a lifetime event We will never forget!!! I probably did see you! Even from way up in our hotel room, seeing Sir Paul was a thrill. I am sure it was even more so up close and personal! Fun that you found my blog post about the concert. How did you!? So jealous! I would have loved to go to that concert. But, you know, I was being wooed by the entire Eagles band over here on the East coast and just simply couldn’t get away. I’m lying, of course. There was no Eagles concert, and I was sitting home doing nothing but writing. And drinking. Glad you had a super time! Kate!!!!!!!!! You are NOT going to believe me, but I SWEAR, we were at a party last night and The Eagles played!!!!! I kid you not! I wish I could attach a photo to this comment to prove I’m not lying. I’ll be doing a blog post about it (I think), but the short story is . . . my husband is the president of a trucking company. He buys a LOT of Freightliner trucks. Freightliner threw their customer appreciation party last night for about 500 people on the USS Midway in San Diego. The surprise entertainment was the EAGLES! YOUR COMMENT WAS AMAZING TIMING! Holy smokes! That is really wild. What luck!! I knew we were best friends for a reason, Robin! And here all this time I thought it was because of my rapier wit. Well, mutual Paul adoration is an excellent reason to be BFFs. What a lovely post! You made me smile throughout. Oh, and I almost forgot to boast (a story I tell at every opportunity): my Mum saw The Beatles at The Cavern before they were famous. In her lunch hour, if I remember right. Netflix doesn’t have Cilla, but I found all three episodes on YouTube. I watched a little to see if I could muddle through the accents. I could! Well, I could make out most of what they were saying. Can’t wait to watch the whole series. Thanks for the tip. Oh, how I would love to hear your mum’s story about The Cavern Club. I bet that something else! Lucky bird. The Beatles aren’t in it that much but their story is in the background and it’s fascinating – as well as excellent drama. I am looking forward to watching the series. My kind of show! Glad you had a great time and that your husband is such a keeper! He is a good guy and treats me so well. He is a keeper! Sorry. Paul is all mine. I didn’t get a shirt because I haven’t worn the one I bought the last time I saw him in concert. I wish they did the tee-shirts in styles other than just Beef-T Shirts. How about a woman’s v-neck? How fun! I would like to see him once before it’s too late. By the image…creepy Paul Stalkers..ha ha! What a sweet hubby…gotta love a man who forks out the big bucks just so his wife can drool over someone else. Yes, I do want to fix the typo, but I can’t spot it! Help, I need somebody. Help, not just anybody. Help, you know I need someone, help! I know that some people consider the Beatles to be a bit like royalty…that’s a hint. Ha! Got it! Great hint. Damn sneaky typos. You know what is funny? I probably read that paragraph 10 times before I posted the blog, and three more times after you told me about the typo. I spotted it immediately after your hint! Thank you! It’s funny how our minds trick us into reading something correctly, even when it’s wrong. I think that is why it is always a great idea to have a different person proof…when that is possible…yeah right. You are hired! I pay well. Pretty damn smooth that husband of yours. Nicely done. Perfect night for you and Jill, one for the books. 72 and rocking for three hours? Even I have to say kudos to that. Yes, Mr. Coyle is one smooth operator and I am a lucky girl. You would never guess Paul is 72. Never. He is just as cute as ever. Hey Tess! Your comment ended up in my spam folder. How odd. Have you been having a problem with that? My husband treats me and our girls like royalty . . . as it should be! YES, I have been having a problem. Hope it stops being a pain in the ***. Contacted the powers that be. They seemed to think everything was fine. Will complain again tomorrow.. I had that happen to me not long after I started blogging. The whole situation was so frustrating and nearly brought me to tears. The gurus at WP fixed it but it took some time. Good luck! The mysteries of WordPress are never-ending. I’m still shaking my head. Time to contact WP again. Funny that this comment didn’t go to spam. Well, not funny, really. Odd. Oh, you groupies, you. Lovely, and what a fabu hub you’ve got! We are indeed groupies. I love that our daughters love The Beatles as much as I do. My husband is too good to me. But I’ll take it! What a wonderful gift from your hubby. 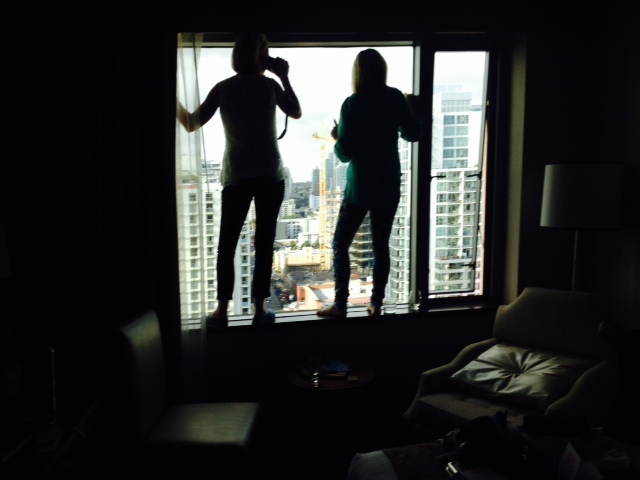 And a night at the Omni? Very nice indeed. By the way, I had to laugh, because in my reader, after your post’s intro, it said “666 more words.” You devil woman, you. The hotel was all fancy-schmancy. Paul was in the room next door and I had to call the front desk to complain about all the noise. The nerve of him playing “Twist and Shout” at 3 am! A girl needs her beauty rest! Damien helped me pull off the “666 more words” bit. Damien’s good like that. The other day, when my son called to be picked up, Damien left me at a word count of 666 in Scrivener. Eerie. He is haunting both of us. He’s probably trolling the blogosphere for targets. Robin – how close were you to the stage? We were on the stage. Kidding. We were on the lower level and pretty close.